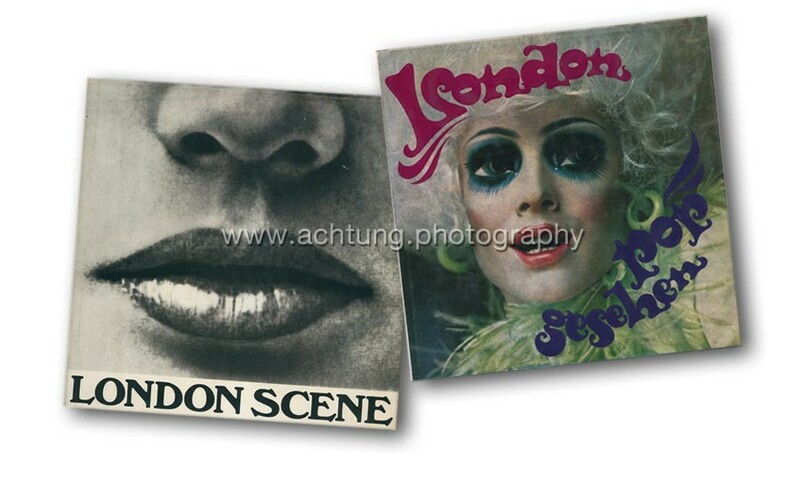 LONDON SCENE is a loving snapshot of the London of the swinging sixties. 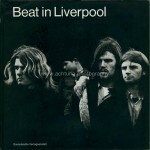 Edited by Juergen Seuss, Gerold Dommermuth and Hans Maier, known for their successful earlier publication Beat in Liverpool, published 1965. Lifting up the graphically strong dust jacket reveals a fine, almost silky, purple book cover. The 44-page text section, printed on matt paper, contains writings (essays interviews and quotes) taken from various sources, all credited in the book’s index page, along with 4 pages of “underground dictionary”. The 184-page image section is printed on glossy paper and contains mostly black & white images also taken from various sources. 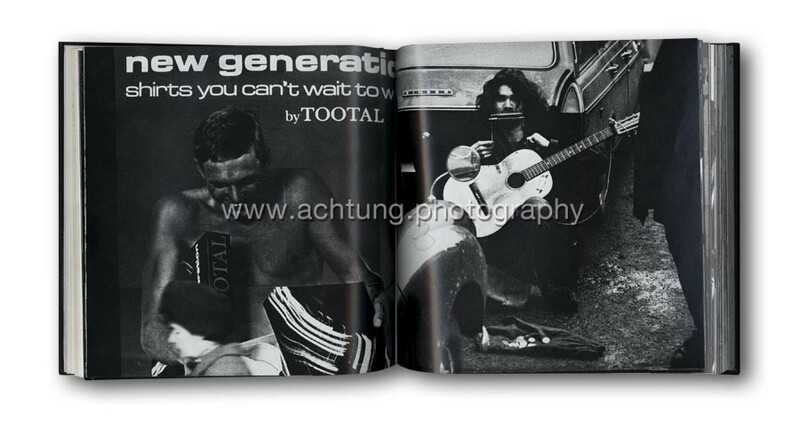 Sometimes short explanatory texts and quotes, taken from essays, interviews and poems, accompany the (mostly) full-page photographs. The kaleidoscope of portraits of known and lesser known artists, combined with street photographs, convey a vibrant and buzzing picture of the swinging sixties. A LONDON SCENE through rose-tinted glasses, this book takes us on a magical picture tour across the London universe. 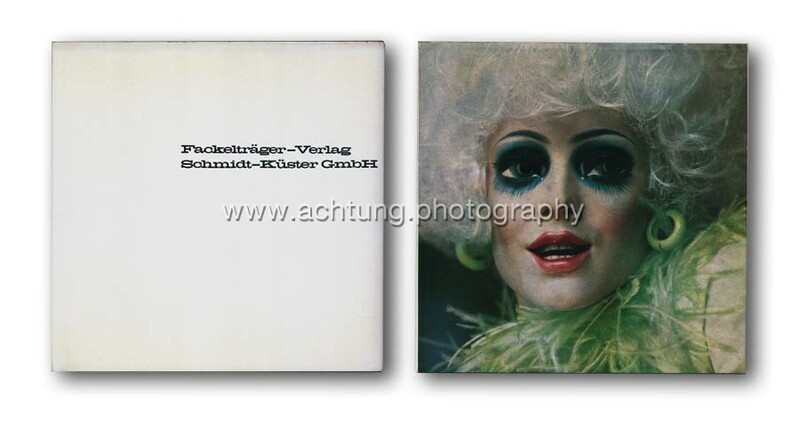 Published originally as a book club edition the book was licensed also to Fackelträger-Verlag / Schmidt-Küster GmbH, Hannover for book shop distribution (see below). 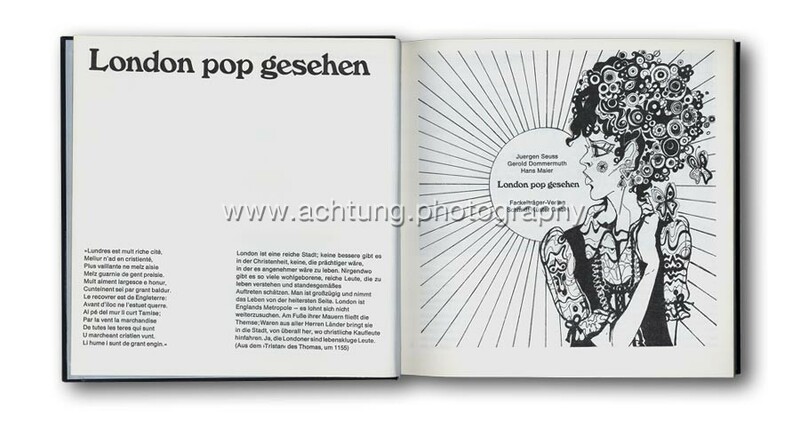 This is the trade edition licensed to and distributed by Fackelträger-Verlag. Identical in size and content to LONDON SCENE, but with a design ‘upgrade’. 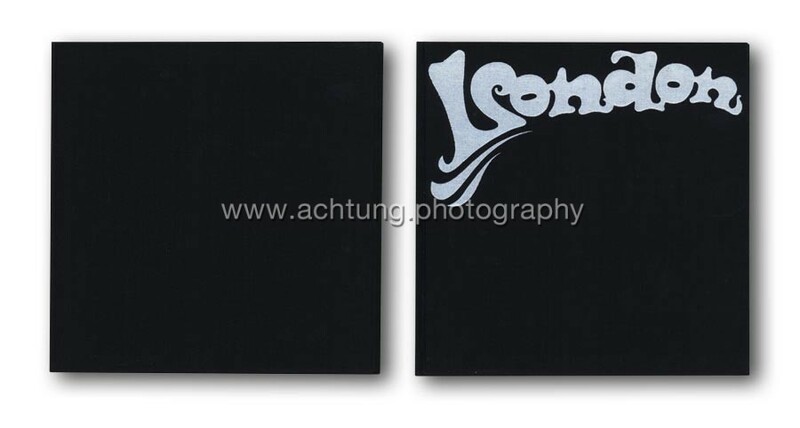 The title design is embossed in silver on the black cloth cover. The dust jacket front shows a vivid color portrait. A second dust jacket, in clear plastic, has the book title printed on. The front and end papers of the book are printed with additional silver colour. 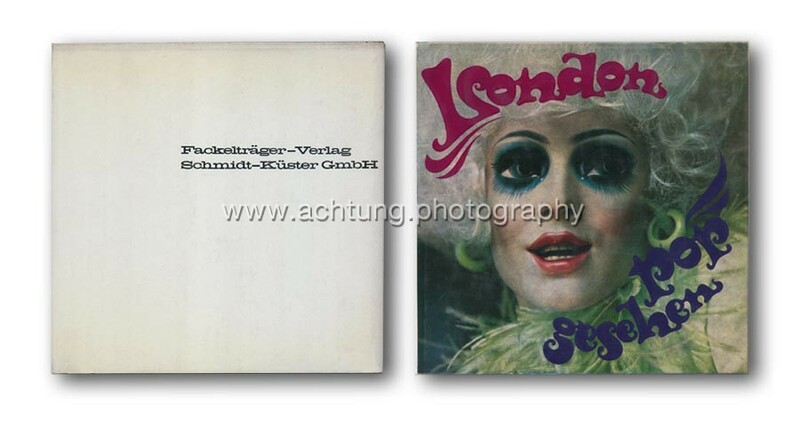 An Austrian edition, identical in design and content was published by Forum Verlag 1969.